Luke takes us through his tale of woe! 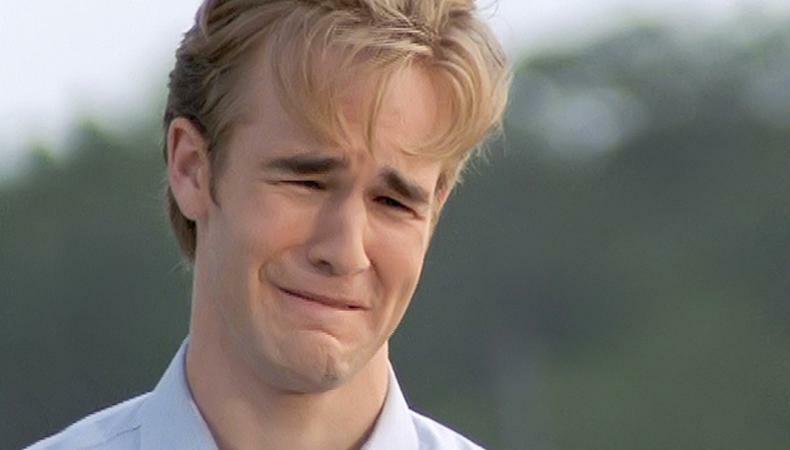 Everyone who has torn their ACL suffers recurring nightmares where all they hear is the ‘POP’. Before we get into my tale of woe and the huge list of mistakes I made when rehabbing from surgery it’s probably important to explain what the ACL is, what it does and why it’s important we look after our knees. 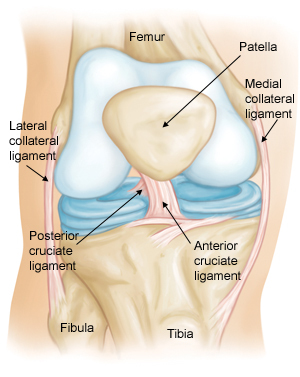 The anterior cruciate ligament (ACL) is the band of tissue that connects the top half of your leg, the femur, to the bottom half, the tibia. It plays a crucial (cruciate…crucial…knee jokes!) role in stopping your knee from overextending and, importantly, over rotating. If you want to play sports which involve changing direction at speed, jumping, running and/or contain the possibility of contact with another athlete looking after your ACLs is a big deal. I first heard the ‘POP’ in February 2013. The reason I say first will become clear in a minute. Believe it or not my sport of choice was lacrosse -yes, the sport from American Pie. No, I don’t like apple pie. After graduating from University, I moved into the South of England league and started trying to impose myself on grown men who were much stronger and angrier than I could have predicted. After a successful first half to the season where I was scoring regularly, and my team was on course for promotion I began 2013 full of confidence. Then one fateful Saturday I was clear through on goal, the goalkeeper tripped and fell, shoulder first, directly into my knee. ‘POP’. My first mistake was thinking I’d scored. I missed. After being carried off the pitch I took myself home to lick my wounds, thinking I’d simply twisted my knee and it would be fine after a few days rest. Our next game was away to Cambridge and I began warming up like normal. Two minutes into warm up drills I tried to change direction at speed and there it was again, ‘POP’. It turns out the second time it was my meniscus I had ruined! I crumpled to the floor in a similar way to the time I found out WWE wrestling wasn’t real. Aged 21. #RicFlair. 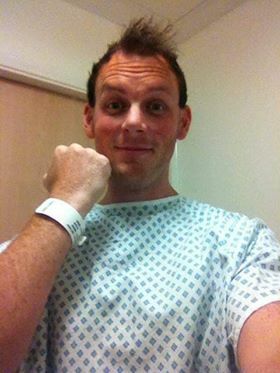 I was lucky enough to get appointments with some fantastic NHS Doctors, Physiotherapists and Consultants who instantly diagnosed my ACL tear and fast tracked me for surgery. I was told the surgery would be simple and that I should do a lot work in the gym pre-surgery but nothing involving changing direction or heavy impact on my injured knee. I got straight to work prioritising building as much muscle in my legs as possible. The phrase ‘Prehab is just as important as rehab’ isn’t something Physiotherapists use just to get your money. My surgery was a success and I was expertly put back together again and told to get on with the rehab process and not wallow in my post-surgery slump. Rehab was a long process and the main mistake I made was not paying for private Physiotherapy when my NHS allowance was up. After 5 months of careful rehab and 6 months of pure hypertrophy and strength training, I was ready to get back to lacrosse. My comeback lasted three games. In my first game back, a defender on my team was back tracking and, for the first time in my entire career playing lacrosse, I had run back to help defend. Just as I arrived to help, my team mate changed direction and…’POP’. Sadly, I could never overcome that mental hurdle and after that every time an opposing player came near me, I panicked, thinking my chocolate teapot of a knee was going to melt. The phrase ‘hearing footsteps’ is perfect to describe the state of my mental game at that point! The only moment of glory in my comeback story is my final moment on a lacrosse pitch – we won the ball at the first whistle, it was passed to me, I turned and scored in the top corner and immediately subbed myself off and never went back on. That was the end of my distinctly average lacrosse career. Shutup, you’re crying. The two things I wish I had done differently are; prioritising training legs more than once a week before my injury and paying a private Physiotherapist to help me rehab fully. The stark reality is that ACL tears are a huge problem to both recreational and professional athletes. In the United States alone there are up to 200,000 ACL ruptures each year with a recent study finding a 2.3% increase in ACL ruptures a year. Sadly, Football, our national game, is one of the worst sports for ACL tears and women are suffering ACL injuries at an alarming rate. In football, female players are three to five times more likely to suffer an ACL injury! It’s not all doom and gloom however. Recent studies have found that strength training plays a huge role in reducing the risk of ACL injuries in both adults and children. It’s reasons like this that forged our belief that everyone should train in a strength & conditioning environment. We designed Athlete Movement specifically so our community could get stronger, together. 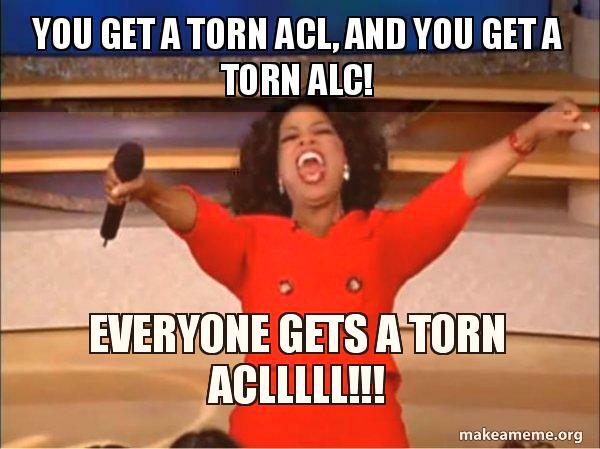 There are a lot of ACL recovery success stories out there. Not everyone loses the mental battle like I did! Tom Brady tore his ACL in 2008 and barely took a break from dominating the NFL. Lindsey Vonn tore her ACL twice and still came back to win the 2014 Skiing World Cup downhill race. Ruud van Nistelrooy tore his ACL and went on to light up both the Premier League with Manchester United and La Liga with Real Madrid. Luckily, we have our talented Physiotherapist on hand at Athlete Movement to offer sage advice. Sharing advice and searching for things we don’t know is what we’re about and James has given his tips for people struggling with an ACL injury below. Don’t underestimate the importance of Prehab. Focus on reducing all swelling, regaining full range of movement in the knee and strengthening your lower limbs. Focus on strengthening your hamstrings and consider that the surgeon can use either leg’s hamstring for the surgery, so train both. 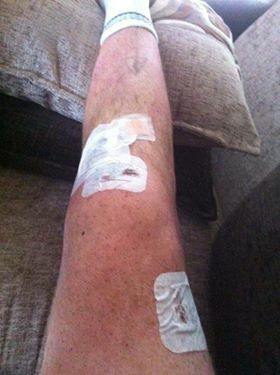 Post-surgery, focus on reducing swelling, regaining knee extension and start weight bearing as soon as possible. 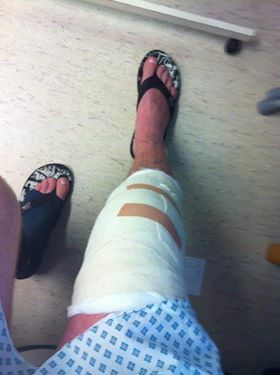 Be careful at the 8 week post-surgery mark as the new ACL graft is at its weakest point. If you’re looking at a future ACL surgery don’t panic, you can give us a call at any time or contact our Physiotherapist James directly on 07889890718. The surgery isn’t as bad as it might sound – you might end up so cooked on pain killers when you wake up that you take stupid pictures for your Wife to prove you’re alive like the one below. Note; Morphine isn’t actually fun…I was violently sick straight after taking this photo!